The Queen believes royal wedding etiquette is so important, Buckingham Palace issued a 22 page “Etiquette Book” to not only each of the 1900 guests invited to the royal wedding of William and Kate, but the catering staff as well. In April of 2011, royal wedding guests for the marriage of the Duke and Duchess of Cambridge were sent a 22-page list of do’s and don’ts. The list included, of all things, how to hold their teacups. The etiquette guide offered common sense tips such as not clashing with bride Kate Middleton’s outfit by wearing white or cream and keeping mobile phones silent. But there was also advice for the 1,900 guests on how to greet the Queen. There was also advice for the 1,900 guests on how to greet the Queen, who maintains a firm, “no hugging” policy. Women were expected to wear formal dresses or suits, to avoid halter necks, sleeveless gowns, spaghetti straps and mini-skirts, and wearing cream or white must always be left to the bride. Oh well... maybe next time? Someone needs a lesson in RSVP etiquette, pronto! 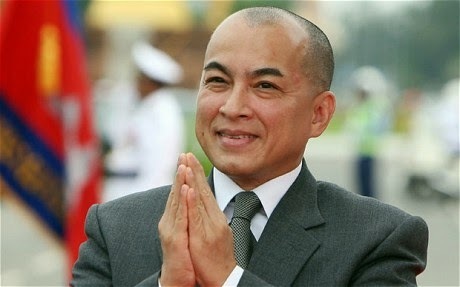 King Norodom Sihamoni of Cambodia missed out on the royal wedding. He did not join the many other crowned heads of state, prime ministers, ambassadors and other dignitaries at Prince William and Kate Middleton's marriage ceremony, as he failed to respond to his invitation. 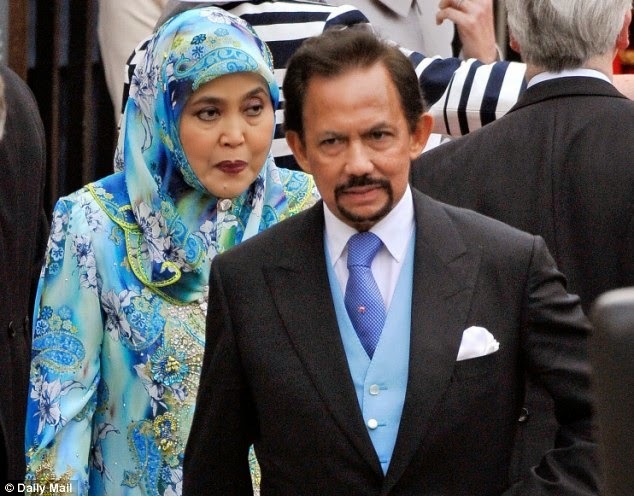 Sultan of Brunei, Hassanal Bolkiah, pictured with his wife at the wedding of the Duke and Duchess of Cambridge. Dress codes are always detailed on the invitations to royal occasions, and the royal wedding is no exception, specifying "Dress Uniform, Morning Coat or Lounge Suit". 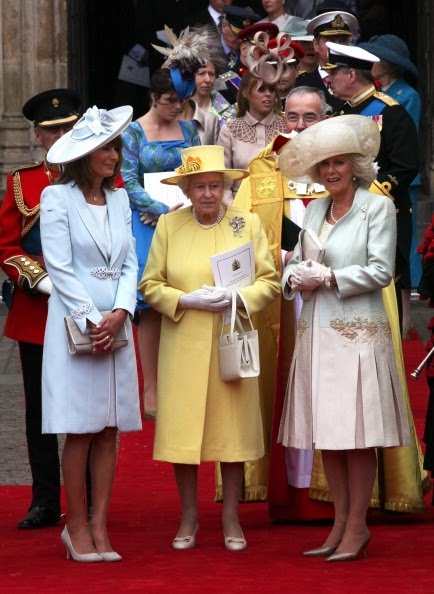 The 1,900 wellwishers who attended when Prince William wed Kate on April 29, 2011, included 1,000 friends and relatives. Joining them were politicians, foreign royals (with the exception of the aforementioned King of Cambodia), stars such as Sir Elton John and the Beckhams and villagers from Bucklebury, Berks, where Kate’s parents Michael and Carole live. For some guests the afternoon reception and evening private dinner meant having to learn a bewildering set of intricate dining rules. At the time, Ms Broke-Smith advised: “There will be champagne flowing and you’ve got to hold the glass properly, by the stem. “During the formal dinner a lot of people won’t know how to use a knife and fork properly, let alone which cutlery to choose from. You must eat from the outside in and if you have a mass of glasses in front of you, it helps to know which to use. With tea cups, lift the cup not the saucer and hold it very gently with your index finger and thumb, returning the cup to the saucer after every sip." A palace spokesman confirmed that the guests had been given instructions for the big day. 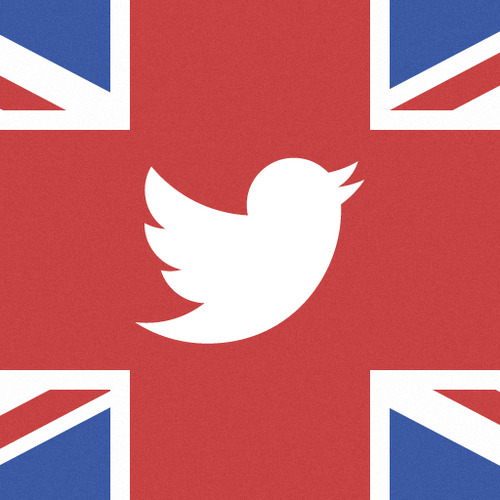 Don't hug the queen, wear white or tweet from the church! Private catering staff waiting on the guests also had a strict protocol to follow. The royal source said that they had been told not to look at Kate, the Queen or any of the royals while serving. They were also told to keep their heads down, and to be as discreet as possible. Gentleman must remove their top hats while in church. Gentleman must wear a "Morning Suit," "Lounge Suit," or Formal Military Dress. Ladies must dress appropriately for church. This rule includes covering one's shoulders, wearing a hat to cover one's head and not wearing anything garish or to garner attention. It is the Bride's day. This rule also includes not wearing white or cream coloured clothing. Pants Suits are frowned upon. Americans are not required to bow or curtsy as the Queen walks by, but may do so out of respect. Ladies, place your right ankle behind your left ankle and dip at the knee, arms at your sides and bow your head slightly. Gentleman, bend your elbow and place your hand, palm in, at your waist. Bend slightly at the waist and bow your head slightly. Do Not touch the Queen. If the Queen addresses you first, answer her ending your first response with "Your Majesty." End your second response with "Ma'am" to rhyme with "jam." Needless to say, turn OFF your cell phone. Do Not take photos of the queen as she passes by with your cell phone either. Enjoy the moment instead of holding the camera in the Queen's face as she walks in front of you and trying to capture the moment with a photograph. Do Not update your Facebook status. Keep your hands at your sides when standing. Gentleman, keep your hands out of your pockets. Europeans consider this act rude. Do Not make any gestures with your hands. In Europe, the "O.K." and "Thumbs Up" hand gestures have very different meanings, and these hand gestures are extremely insulting and rude. Do Not gobble up food and gulp up drink at the Reception, and for goodness sakes, Do Not get drunk. Catering Staff: when serving Royalty and guests, Do Not look at them. Do not talk to them. Appear and disappear discretely and silently. Hold the champagne glass properly, by the stem.